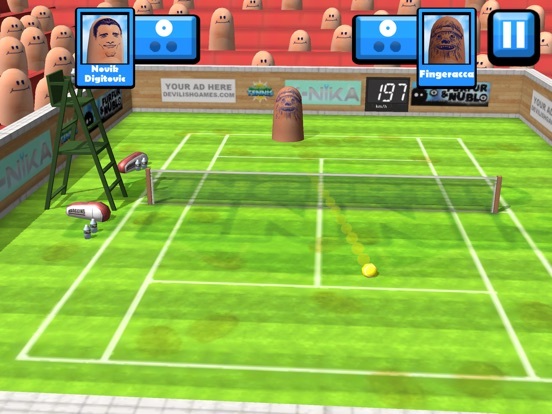 Discussion in 'iPhone and iPad Games' started by Echoseven, Jul 30, 2015. 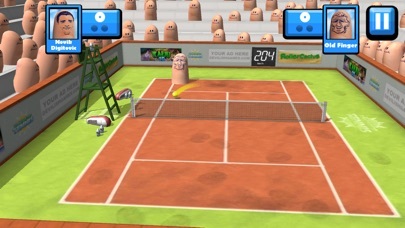 Fingertip Tennis IS NOT the most realistic tennis simulator. It is NOT the most precise. 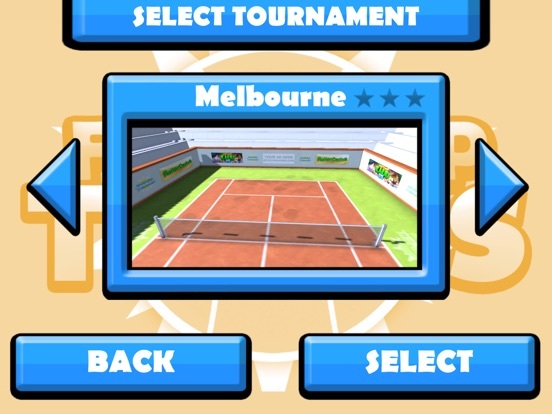 It doesn’t pay ATP licenses so it doesn’t feature famous tennis players (but it almost does). 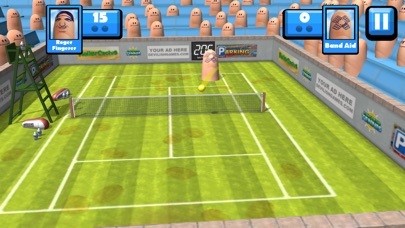 Fingertip Tennis is not the ultimate tennis game but IT IS one hundred times funnier and more original than any other out there. 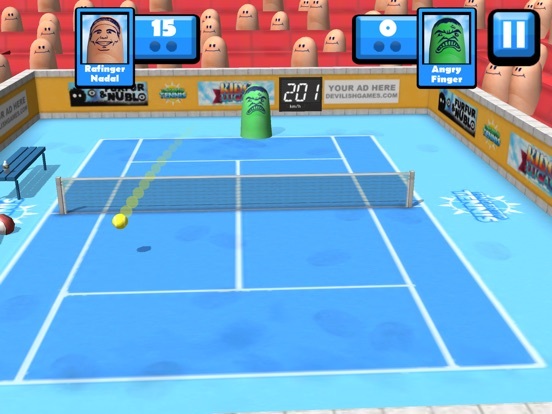 What do you play your mobile and tablet with? 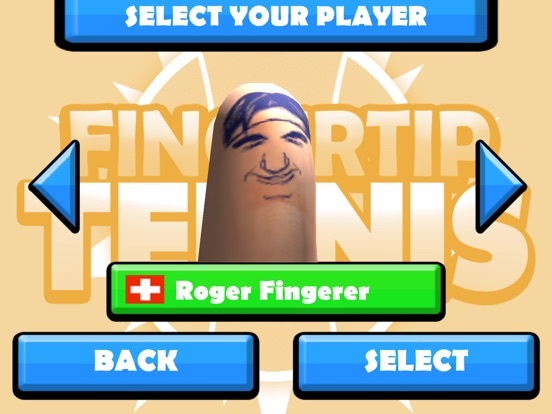 With fingers, don’t you? 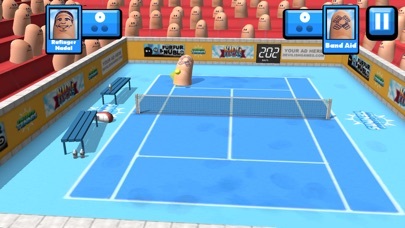 Then we want your fingers to feel like at home in the best tennis courts around the world. 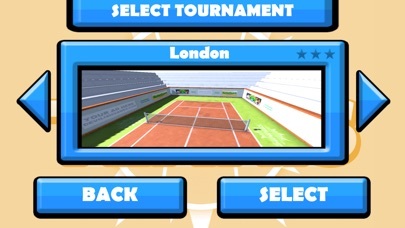 Let your fingers play in London, New York, Paris and other exciting tournaments in clay, grass and hardcourts. 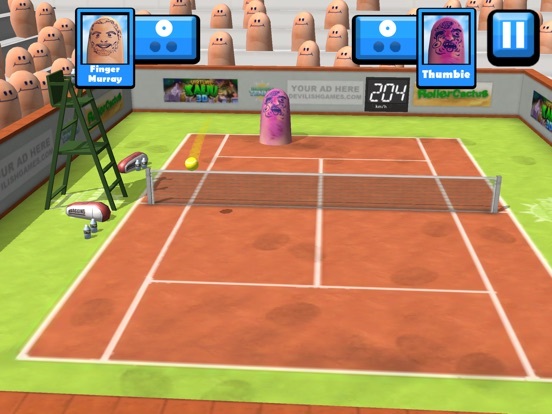 Let your fingers play with Rafinger Nadal, Dafing Ferrer, Fingerena Williams and other (almost) stars. 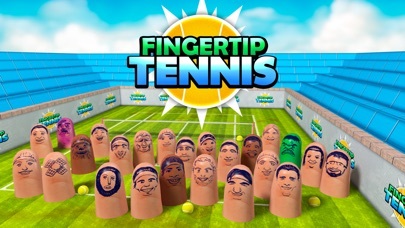 We told you we haven’t got licenses so these fingers only seem famous. Do you want even more fun? 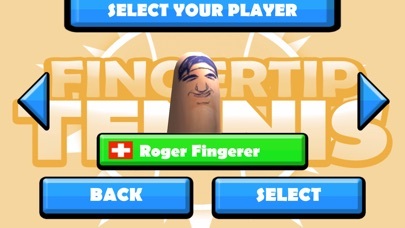 Play also with some crazy special characters: Old Finger, Angry Finger, Band Aid or even Fingeracca. I might get this one, any other feedback? My ears are up but I wanna see what kind of imps come down the pipe first.